It is of the critical parts of the installation. 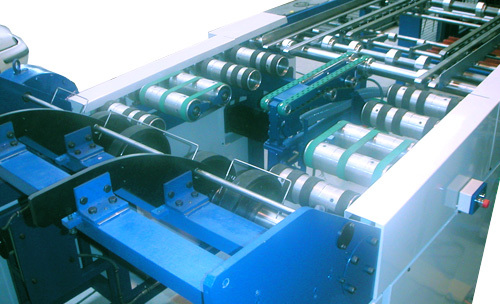 The new system of the entrance of sheets reduces the number of stopped, damaged sheets and let to increase the speed production. This table incorporates a dynamic break system with vacuum so it can use with all type of and dimensions. Electronic synchronization between oven and previous machine. The control is make from a HMI. Upgrade in a infeed table of an Inghor oven also available for other manufacturers.